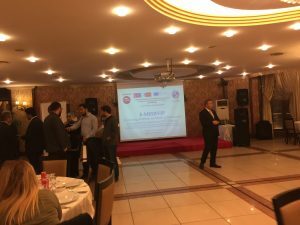 Final Meeting of E-MEDIVIP Project was held on 30-31 October 2017 in Sakarya, Turkey. 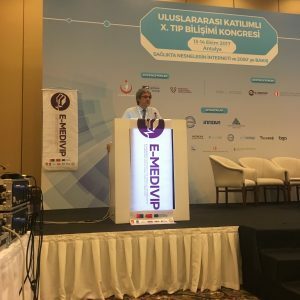 A Multiplier Event was held as an international congress by TurkMIA for E-MEDIVIP Project in Ankara. The activity was performed on 12-15 October 2017 at Xanadu Resort Hotel, Antalya, Turkey. 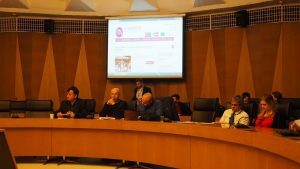 For E-MEDIVIP project, third meeting was held on 08-09 April 2017 in Barcelona, Spain, hosting CIBER. Thank you very much to all partner for their valuable contributions. 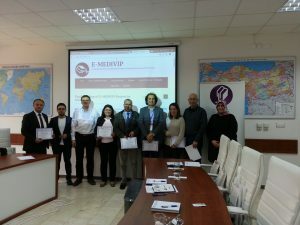 Many dissemination activies for E-MEDIVIP Project have been held at Bilecik Seyh Edebali University, Turkey. 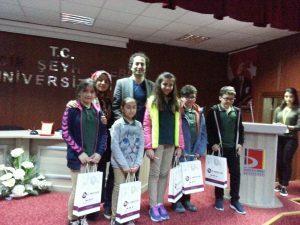 One of the project partner, Arda Beratung & Bildung from Germany, has held a new dissemination activity for representatives of Kütahya Vocational and Technical High School. 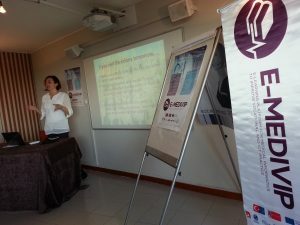 We thank our partner for their valuable contributions for E-MEDIVIP project. 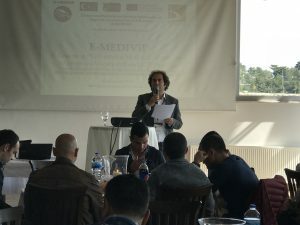 The representatives from Technology Faculty of Sakarya University have organized a dissemination meeting for E-MEDIVIP project. Some dissemination tools such as flag, leaflet, pen, hand-bag have been provided for participants. Thank you so much for contributions of our partner.